WTOP is continually following developments related to the Ebola outbreak. Find stories, audio and photos within this live blog. 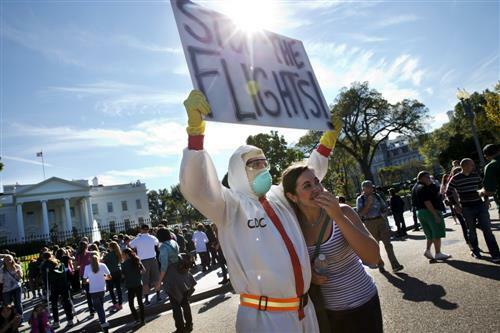 Citing Ebola preparedness, DC nurses plan strike -- but are they merely using the issue to drive other negotiations? Read more from Washington Business Journal. France's government has flown in a UNICEF employee infected with Ebola in Sierra Leone for treatment. The Health Ministry says the patient was evacuated in a special flight and is undergoing treatment in "high-security isolation" in Begin Army Training Hospital in Saint-Mande, near Paris. The patient's name was not released. 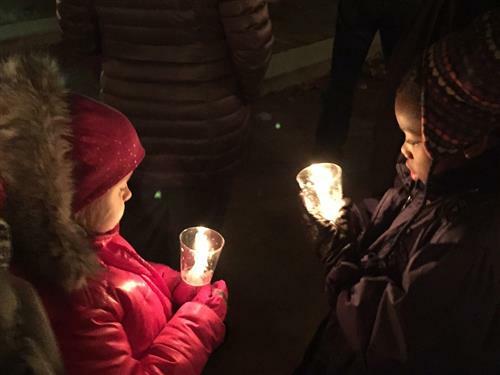 Old and young, white and black, lifelong Virginians and residents with roots in West Africa gathered for a candlelight vigil Sunday night. Standing in a plaza at Lake Anne, they huddled close in the cold, lighting candles against the dark. And they prayed for those near and far affected by Ebola. 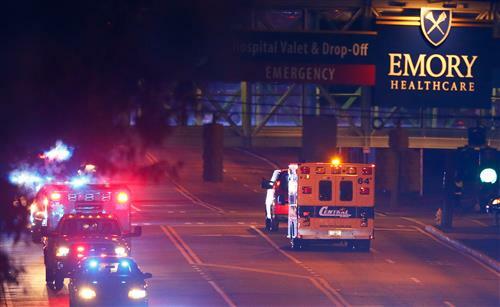 quarantine for medical workers who have treated Ebola patients. States have broad authority to quarantine people to prevent the spread of disease, and several are exercising that right to go beyond the safety recommendations of the Centers for Disease Control for containing the deadly Ebola virus. The U.N. health agency is updating its guidelines for health workers dealing with the deadly Ebola virus, recommending tougher measures such as doubling up on gloves and making sure the mouth, nose and eyes are better protected from contaminated droplets and fluids. But the World Health Agency says the choice of equipment is much less important than the way it's used. In between going on a bike ride and taking delivery of a pizza, nurse Kaci Hickox and her boyfriend did chores and watched a movie while state officials struggled to reach a compromise in a standoff that has become the nation's most closely watched clash between personal freedom and fear of Ebola. "We're not trying to push any limits here. We're members of this community, too, and we want to make people comfortable," he told reporters Thursday evening. The fiancee of Ebola victim Thomas Eric Duncan is struggling to recover after losing her future husband along with most of her personal belongings, and she says she is effectively homeless due to the lingering stigma of the virus. Louise Troh has been cleared of the deadly virus for more than a week. She was quarantined in her former home during Duncan's final days then spent the remainder of a 21-day quarantine period in a cottage at a Catholic church retreat in south Dallas. She said she didn't know where she was when she first arrived. Troh, 54, is now crammed with nine other people into her daughter's modest apartment. A Dallas nurse who recovered from Ebola will soon be reunited with her dog, which has been sequestered since his owner became ill. 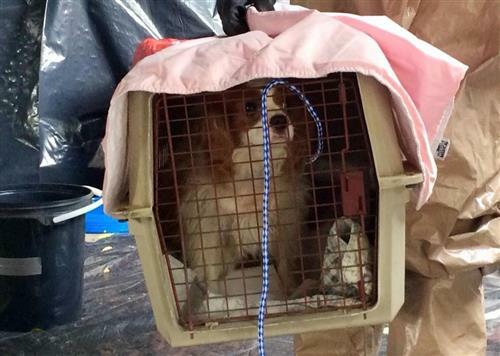 The King Charles Cavalier spaniel named Bentley is in quarantine at an abandoned Navy base in Dallas. 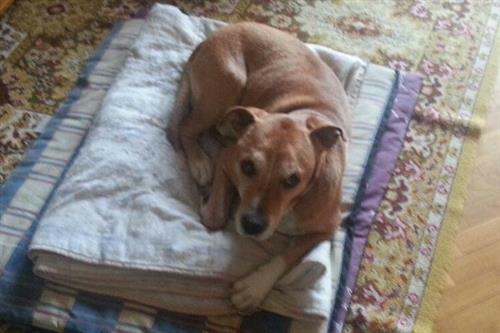 His owner, Nina Pham, was diagnosed with Ebola earlier this month. She contracted the virus while caring for a Liberian man, Thomas Eric Duncan, who died Oct. 8. The longer the Ebola outbreak rages in West Africa, the greater chance a traveler infected with the virus touches down in an Asian city. How quickly any case is detected -- and the measures taken once it is -- will determine whether the virus takes hold in a region where billions live in poverty and public health systems are often very weak. Governments are ramping up response plans, stepping up surveillance at airports and considering quarantine measures. Still, health experts in the region's less developed countries fear any outbreak would be deadly and hard to contain. The Ebola virus's arrival in New York City and yet another West African nation -- Mali -- renewed questions Friday about whether stricter travel restrictions would help lock down the deadly disease. The governors of New York and New Jersey went ahead and issued their own quarantine order. There was good news, too, as one of the two American nurses who caught Ebola from a patient headed home from the hospital, stopping by the White House to get a celebratory hug from President Barack Obama. European nations pledged more money to fight the virus in Africa. A look at Ebola developments worldwide. The World Health Organization says millions of doses of two experimental Ebola vaccines could be ready for use in 2015 and five more experimental vaccines will start being tested in March. Still, the agency warned it's not clear whether any of these will work against the deadly virus that has already killed at least 4,877 people this year in West Africa. 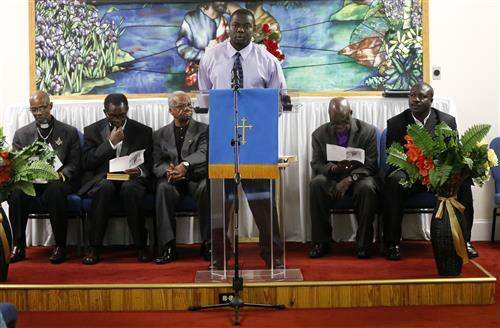 Thomas Eric Duncan was remembered Saturday as a big-hearted and compassionate man whose virtues may have led to his infection with Ebola in his native Liberia and death as the first victim of the disease in the United States. Family and friends gathered Saturday at a Southern Baptist church with a primarily Liberian flock in the North Carolina city of Salisbury, near where Duncan's mother lives. Health officials in Ohio are monitoring more than 100 people following the visit by a Dallas nurse who tested positive for Ebola shortly after returning to Texas from the Cleveland area. Officials said Saturday that none of those being monitored are sick. Just minutes after Thomas Eric Duncan arrived for a second time at the emergency room, the word is on his chart: "Ebola." But despite all the warnings that the deadly virus could arrive unannounced at an American hospital, for days after the admission, his caregivers are vulnerable. The Centers for Disease Control and Prevention has pointed to lapses by the hospital in those initial days. And Duncan's medical records show heightened protective measures as his illness advanced. 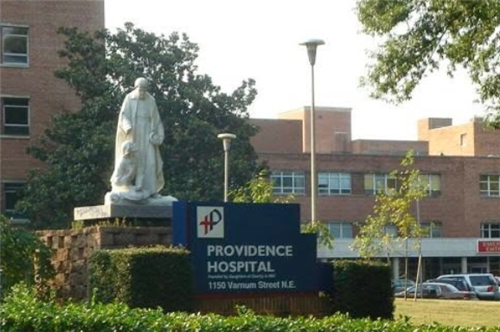 But either because of a lag in implementing those steps or because they were still insufficient, scores of hospital staffers were put at risk, according to the records. The Canadian government said it will start shipping its experimental Ebola vaccine to the World Health Organization on Monday for possible use in the West African countries hardest hit by the outbreak. The government said in a news release Saturday that the Public Health Agency of Canada is supplying the vaccine to the U.N. agency in Geneva. The WHO is the international coordinating body for battling the Ebola outbreak which has killed more than 4,500 people in West Africa. The news release said Canada will send 800 vials of its experimental vaccine in three separate shipments. A ban on travel from West Africa might seem like a simple and smart response to the frightening Ebola outbreak there. It's become a central demand of Republicans on Capitol Hill and some Democrats, and is popular with the public. But health experts are nearly unanimous in saying it's a bad idea that could backfire. What you need to know about this deadly virus. 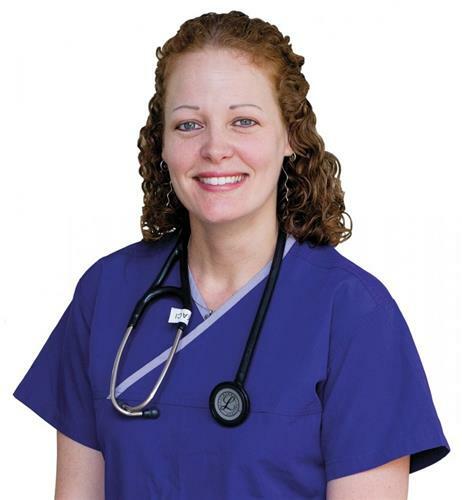 Nurses in safety gear gear got Ebola, so why wouldn't you? The chances for an outbreak are slim in the U.S. The first nurse to be diagnosed with Ebola after treating an infected man at a Dallas hospital has been sitting up and eating and has her iPad after being moved to a specialized isolation unit near Washington, officials said Friday. Dr. Anthony Fauci, director of the National Institute of Allergy and Infectious Diseases, said Friday that Nina Pham's condition is stable and she is resting comfortably at the National Institutes of Health Clinical Center in Bethesda, Maryland. He said she is "in good spirits." Read the full story. A CDC official says a Texas nurse who has Ebola indicated she "felt funny" and spent extra time resting during a visit to Ohio in the days before she was diagnosed in Dallas. Dr. Chris Braden says the woman didn't have typical symptoms of Ebola when she flew to Cleveland on Oct. 10 or when she visited family in Akron last weekend. But he says health officials can't rule out the possibility that her illness began last Saturday, or possibly earlier. 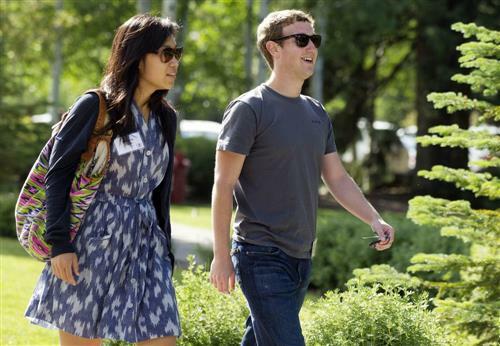 Facebook CEO Mark Zuckerberg and his wife, Priscilla Chan, are donating $25 million to the CDC Foundation to help address the Ebola epidemic. The money will be used by the U.S. Centers for Disease Control and Prevention's Ebola response effort in Guinea, Liberia and Sierra Leone and elsewhere in the world where Ebola is a threat, the foundation said Tuesday. In the days after the first diagnosis of Ebola in the U.S., the head of the Centers for Disease Control and Prevention was resolute in his confidence about hospitals' ability to manage the virus. So far no confirmed cases of Ebola have been reported in Montgomery County but county officials are taking steps to make sure local medical providers are prepared, the county's chief health official said Tuesday. Dr. Ulder Tillman, the health officer for Montgomery County, told the county council that the area could see a case based on the region's demographics. The county is home to a large international community plus businesses and non-gonvernmental organizations that have missions in the West African nations hardest hit by Ebola: Guinea, Sierra Leone and Liberia. Media reports and a church rector have identified the second Ebola patient in Texas as a 26-year-old nurse infected while caring for a man from Liberia. 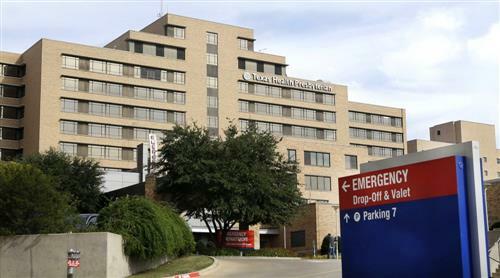 Top federal health officials said Sunday that the Ebola diagnosis in a health care worker who treated Thomas Eric Duncan at a Texas hospital clearly indicates a breach in safety protocol. But the unidentified worker has been unable to pinpoint where that breach might have occurred, according to Dr. Tom Frieden, head of the Centers for Disease Control and Prevention. 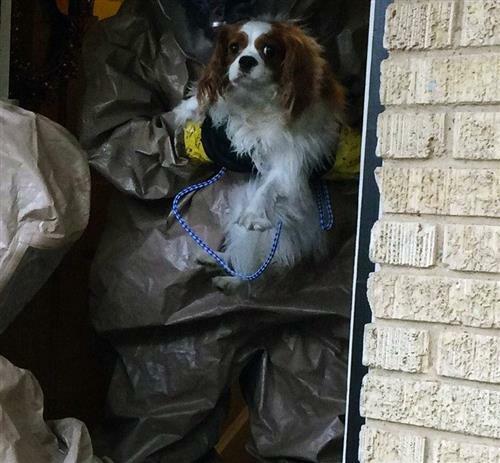 Officials say a year-old King Charles Spaniel has been taken from the Dallas apartment of an Ebola-infected nurse and will be cared for at an undisclosed location. 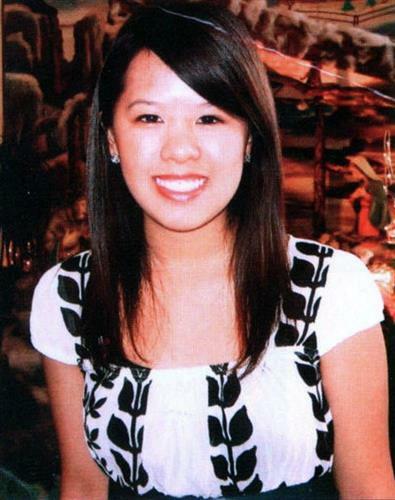 Nurse Nina Pham's apartment is being thoroughly cleaned after tests over the weekend confirmed she is infected. Read through some facts from the Associated Press about how Ebola spreads on WTOP.com. Ebola's economic toll could reach $32.6 billion by year's end if the disease ravaging Guinea, Liberia and Sierra Leone spreads across West Africa, the World Bank said Wednesday. The outbreak has the potential "to inflict massive economic costs" on those three countries and its closest neighbors, according to the bank's assessment. The protesters, chanting "Assassins!" as they scuffled with police in front of a suburban Madrid apartment complex, made their demand clear: No matter how desperate officials might be to stop the spread of Ebola, an innocent pet must not be made a casualty. By nightfall Wednesday, that campaign to save one family's dog had turned in to a global outcry when the protest detonated online, generating hundreds of thousands of petition signatures and social networking mentions. In the end, though, it did no good -- Spanish health officials announced the pet had been euthanized and its body incinerated. The death of the first Ebola patient diagnosed in the United States renewed questions about his medical care and whether Thomas Eric Duncan's life could have been extended or saved if the Texas hospital where he first sought help had taken him in sooner. Duncan died in Dallas on Wednesday, a little more than a week after his illness exposed gaps in the nation's defenses against the disease and set off a scramble to track down anyone exposed to him. An American doctor exposed to the Ebola virus after a needle stick in Sierra Leone has been released from isolation and sent home. 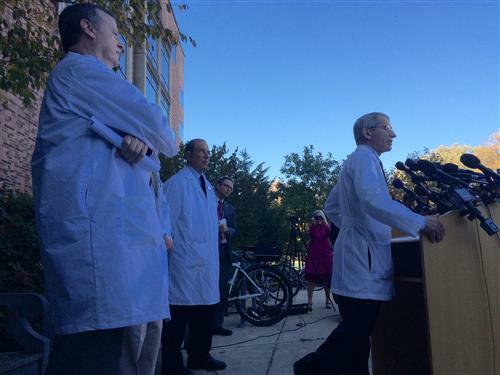 The doctor had been kept in isolation at the National Institutes of Health in Bethesda since Sept. 28 out of an abundance of caution. Hospital officials say the man being treated for Ebola in Dallas is showing improved liver function, though he remains in critical condition. Texas Health Presbyterian Hospital released a statement Tuesday saying Thomas Eric Duncan is on a ventilator and is receiving kidney dialysis. The hospital says his liver function improved after declining over the weekend, but warns that his condition could vary in the coming days. Raising fresh concern around the world, a nurse in Spain on Monday became the first person known to catch Ebola outside the outbreak zone in West Africa. In the U.S., President Barack Obama said the government was considering ordering more careful screening of airline passengers arriving from the region. Several cruise lines have changed itineraries due to concerns over Ebola, canceling port stops in West Africa. On Holland America Line's 35-day African Explorer cruise aboard the MS Rotterdam, from Cape Town, South Africa, to Southampton, England, three ports of call in Ghana, Gambia and Senegal will be replaced with an added overnight in Cape Town, an added overnight in Cape Verde and a stop in Tangier, Morocco, according to Holland America spokesman Erik Elvejord. An American photojournalist who contracted Ebola while working in Liberia is expected to arrive Monday in Nebraska, where he will be treated for the virus that has ravaged West Africa. Ashoka Mukpo, 33, will be the second Ebola patient to be treated at the Nebraska Medical Center's specialized isolation unit. 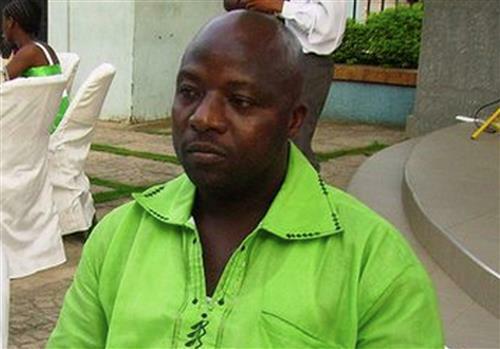 Mukpo was working in Liberia as a freelance cameraman for NBC News when he became ill last week. Africans treat Ebola victims, the Army's top officer said Friday.